The two-time World Champion (Beijing 2007 and Copenhagen 2009) has not competed since the heavyweights finals held in Denmark who beat and won for second time the Korean Yun-Bae in a big fight. 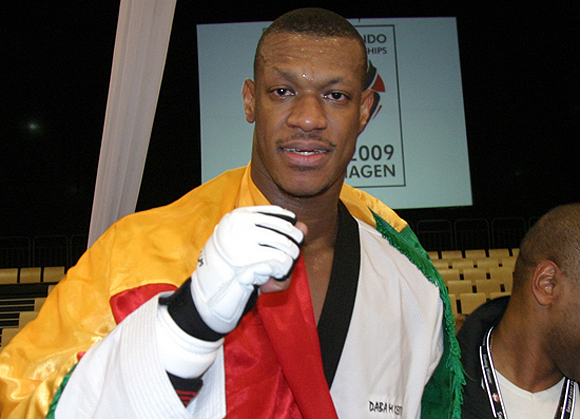 Although masTaekwondo.com had the opportunity to share many activities with Daba, his last official appearance in the tapestries was on October 2009, were he devoted his second consecutive World Champion. Next to this giant, we had the opportunity to do many interviews and we saw him as spectators in various world events, including the World Taekwondo Championships in South Korea in April 2010. Dada Modibo Keita participated in three World Cups and in one Olympic Games. His first World Cup was in Madrid 2005, where he felt in preliminaries against Korea. In Beijing 2007, he beat big rivals such as the Greek Alexandros Nikolaidis, the Korean Yun-Bae Nam and in the finals the Iranian Morteza Rostami. 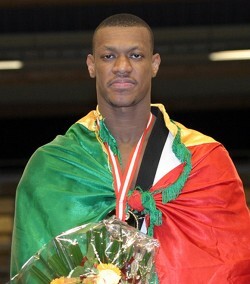 In the World Olympic Qualifying Championship held in Manchester, the representative of Mali classified with a great participation and beat Korea, in this case, Dong-Min Cha. In the finals he had to confront Mickael Borot from France and Keita classified for the second place for the Beijing 2008 Olympic Games. Given this action the speculation that Dada did not confront Borot was because during the time he trained in France, he was not allowed to fight for this country precisely because of the presence of Mickael Borot and this speculation became stronger, when he had to confront him during the Olympics and beat him. When masTaekwondo.com publicly asked Dada Modibo about this story, he denied it. The Olympic dream of this seven feet giant was cut because of another African, in this case from Nigeria, who beat him in the games and won the bronze medal. 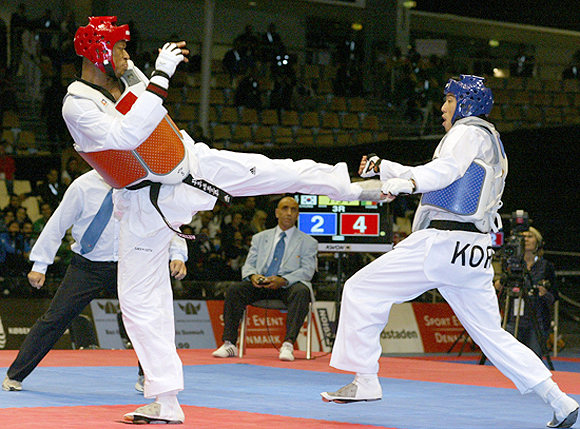 The next world appearance was in Copenhagen 2009, where Keita beat six fights without any problem leaving on the way big athletes such as: Leonardo Basile from Italy, Michael Kitschke from Canada, Roman Kuznetsov from Russia, Rosbelis Despaigne from Cuba, Arman Chilmanov from Kazakhstan and once again he beat Yun-Beae Nam, frustrating the hopes of the Koreans. After these great and glorious sports days, Dada Modibo Keita established his own foundation and explained us, “I now have the opportunity to be a great competitor and I felt that I could help other people, that is why I developed my own foundation, to help children, because I come from a very poor country where the poor children have needs and I can help them through this foundation”. Within a week we will see again this big giant (in every sense) of World Taekwondo, fighting for a place in the 2012 London Olympic Games, and maybe in August we can see him in the Olympic podium, to confirm that this two-time World Champion was just taking a nap to rest and come back to get a the Olympic glory.